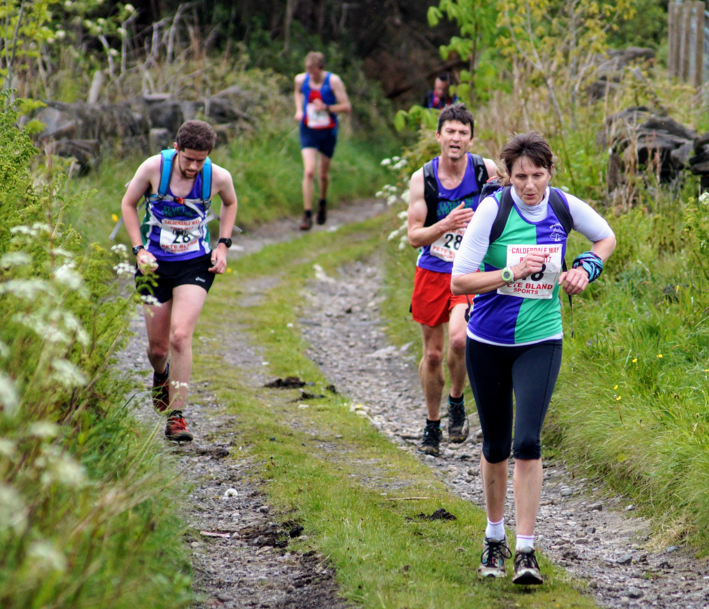 Clear skies and fine weather made for a great weekend of running round Aykley Heads. Unsung heroes saw the sun set and sun rise over Durham as they saw the event through from set up to strike down. 24 hours, and then some. Shaun and Ros were there to open and close the event. I missed the start (I’d forgotten how steep that hill is up from Durham on a bike) so don’t have any photos of the beginning of the event. If you have any photos you’d like to add to the gallery below please get in touch. “We had everything in place and were primed for the start. I was going to lead the first lap in my DKMS shirt and we realised we needed a baton. Thanks to the quick thinking of our President, David Shipman, a frog (fly-swatter) was produced from his camper van which we kept going every minute of the 24-hour period. 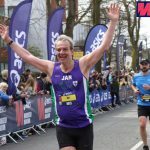 We tweeted updates every 250km run and we hoped to exceed 1500km and were delighted to hit 1725km but more importantly, to finish with Shaun leading the charge on the final lap – with an impressive sprint finish. 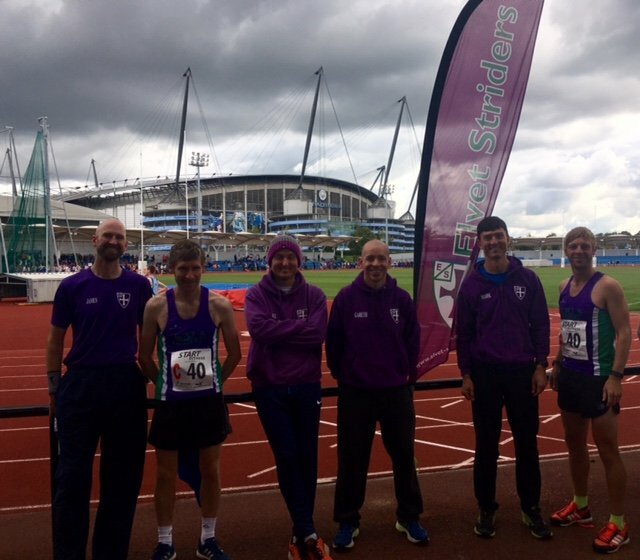 We often say we are proud to be purple (our club colours) and this weekend was no exception. 6) Farmer Maggot and his/her Turnip completed 2 laps. Many of you, having been harangued by me over the last few months, will know that this race is special to me. It is also special to the Club, as evidenced by the fact that they pay entry fees for as many teams as we can muster. 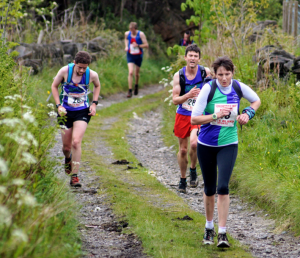 I can’t answer for the Club, but for me there is a lot to be said for the scenery, the fact that it is now a summer race, meaning you can enjoy said scenery (having raced the winter version before a particularly brutal cold spell caused cancellation in 2010, I know of what I speak), and the pairs-relay format. Why the latter? Simple: no two runners are the same. There is joy when, as team captain, you match a pair of runners well enough that they complete a leg mutually-exhausted and having run in a way that just feels right for both of them. Witness Jack Lee and Mark Warner in 2016 or Tom Reeves/Jon Ayres and Diane Watson/Angela Greathead in the same year. 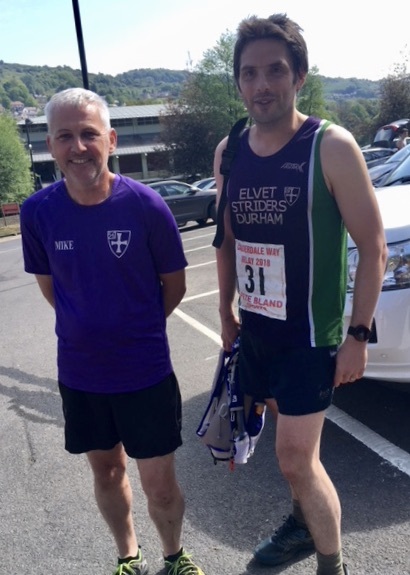 There is also the challenge of trying to finesse the selection of runners in Elvet A to maximise the chance of us both being competitive and getting the baton around the course, against ever-tighter cut-offs which date from the years of this being a winter race, with dusk at 1600hrs. 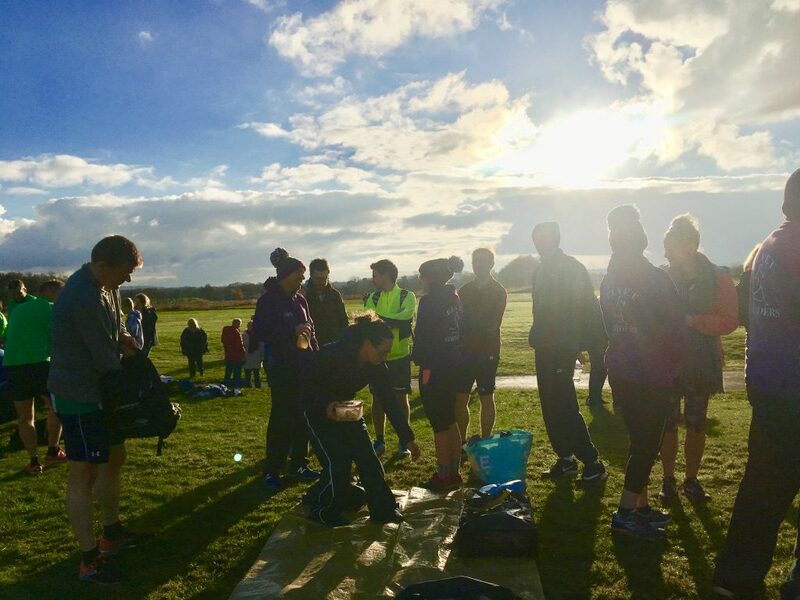 This year, the challenge was truly set, as we had to make 2 teams of 12 runners, in 6 pairs each, to complete the 55 or so miles of the ever-undulating course. 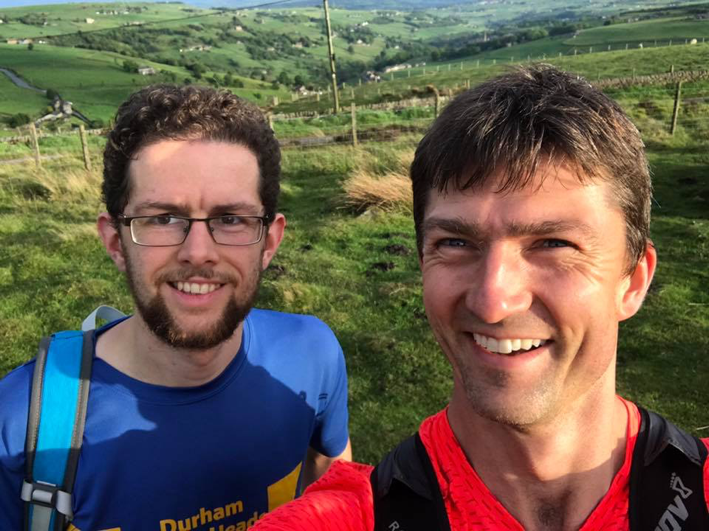 Courtesy of clashes with P2P and Windermere, family commitments, last-minute emergencies and a general nervousness about the fact we would be travelling 2 hours south just to get beaten by some of the UK’s best fell-runners, we had 17 runners to make up these 2 teams. Not quite Jesus, the bread and the fish, but I like to think something of that ilk was required in order to hand in 2 complete team sheets at Heath RUFC, bright and early on the Sunday morning. We’d opted to go with what we thought would be the quickest Elvet A team possible, at the cost of this team comprising 7 runners for 12 places, 5 of them doing 2 legs apiece. Elvet B had the relative luxury of 9 runners for their 12 places, with only Angela G, Danielle W and Mandy D having to double up. 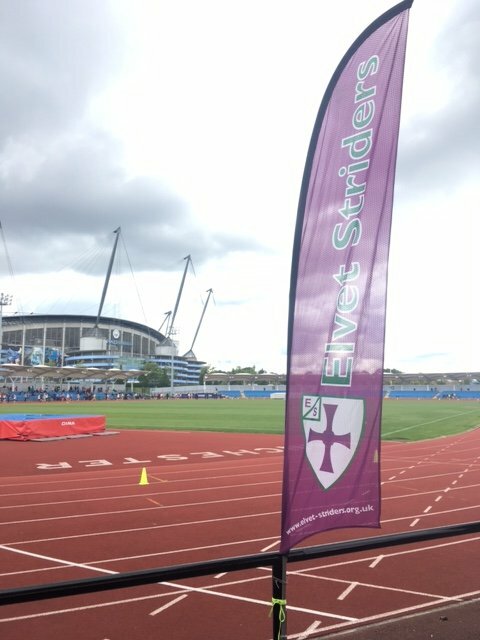 The instructions for Elvet B were something along the lines of ‘enjoy, it’s a lovely day for it, see you on the course.’ Elvet A’s first two leg pairs, all of them doing other legs later, were asked to give everything they had on the first leg, hold nothing in reserve, then try to do it again later. Final words spoken, Phil Ray and I stood with Nigel H and Mandy D at the bottom of the bank for the mass start, surrounded by close-packed bodies and ready for the sprint to the start of the climb through the woods. Words were spoken, the runners in front of us moved and so did we, with the intention of getting far enough up the field that we would get ‘trapped’ in position neither too far forward nor too far back as, after about half a mile or so of climbing, there is a mile-long section where overtaking is near-impossible on a narrow path between a fence an foliage skirting the moor. I took the pace here, trusting Phil to stay roughly behind me and to shout if any problems, and we next saw each other at the top when we were able to exit the woodland path and start slowly overtaking pairs in front of us, hitting a road crossing just after two miles to the encouragement of the Striders who’d driven up to shout us on at this early point. The field was fairly tight here, with us following a pair of Barlick ladies who we’d tail for the remainder of the leg, as well as assorted other colourful vests from Yorks and Lancs. Firm ground made for a decent pace, Phil leading across the moor edge as the Calder Valley fell away to our right, taking us through miles 3 and 4 at sub-8m/m pace until we hit a long downhill into Ripponden where we let the feet fly, high-fiving at 7 minute-mile pace a trio of amicable drunks who appeared to be at the end of a long night, swigging cans of Polish lager as they tried to ascend the lane we were hammering down. The fun ended here, as a core rule of fell-running is that if you lose height, you’ve got to re-gain it; so it proved, with the next three miles being a slog out of the town, a brief descent and then a longer pull upwards, initially through bluebell woods then onto an interminable farm track/minor road combination, hitting the moorland again at around 8.5m, slowly climbing a little more and then downhilling all the way for the last mile and a half, finally over-taking the Barlick pair, being overhauled by CVFR B despite now running sub 7m/m, leaving the moor, cutting through more pretty woodland and dropping into Cragg Vale to hand the baton on to Fiona and Jack, arms outstretched and with the intensity of hungry greyhounds at the front of the waiting group. Job done in 1.29hrs for 10.7m (27th overall). Water on board. Wait for Mandy and Nigel, see of Danielle Whitworth and Jan Young, then off to Todmorden. b) clearly well-suited to Fiona and Jack, who managed 1.12 for it, comparable to the best-in-recent-years time set by Tom and Jon, handing over to Mike Bennett and David Gibson for Elvet A, Paul Foster and Angela Greathead doing the honours for Elvet B, though we had to leave before they set off. Leg 3, by the way, is only 5 miles, but they’re all uphill and by now the day was uncomfortably toasty (official met-office terminology). 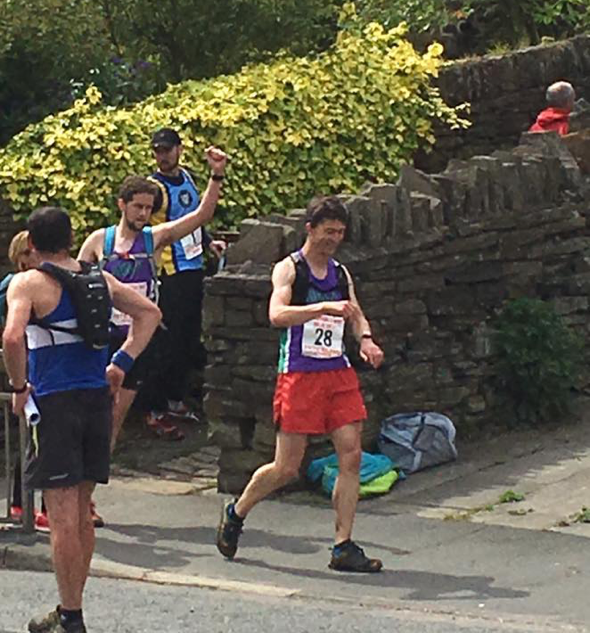 The next stop for the race is Blackshaw Head, a small village sitting high up on the edge of the moorland, with the luxury of a portable loo and a cake/tea stall set up to raise money for the local school. 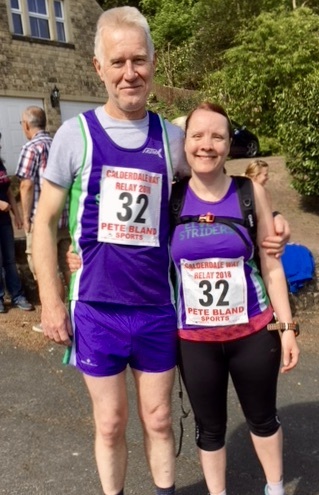 After earlier exertions, Fiona and I should probably have partaken in the latter but did not do so as we were more concerned with getting registered for the leg and making our way to the start, in the hope that Mike and David had thrashed themselves. To their credit, they did, managing 54 minutes for the leg, meaning Fiona and I had around 1.25hrs to beat the cut-off for this 9.5m leg. Fresh, I think we might have managed it, and we managed a rapid-enough start down the first hill, over the ancient packhorse bridge (under repair), up to Heptonstall and down to the river, Fiona positively bouncing when presented with a descent. 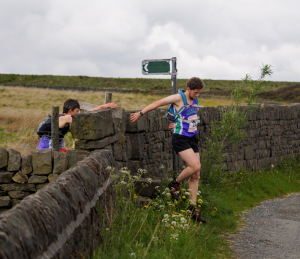 The fourth mile, however, was an absolute swine, 441′ of climbing in the mile, reducing us to 15 minutes for said mile and effectively wrecking our chances of beating the clock, as our legs were not quite able to capitalise as they should on the next few miles of glorious open moorland. Basically, we slowed whenever the path went upwards and could not quite compensate when it went down. On the plus side, a pair overtaking us (one of three who did so) called Fiona a ‘legend’ when they heard that we were on our second leg of the day, which I think is high praise indeed; a muttered ‘well-done’ is more standard in the world of the fells. In pain, leg four ended with a rapid descent past the evocatively-named Jerusalem Farm, through more woods, over another stream, up through the trees and, finally, at near-walking pace, to the handover point at Wainstalls, all runners (including our own Jack, Phil, Danielle and Dave Shipman) now departed as we’d managed 1.36hrs. There was little to do but sag, mutter ‘well done’ to each other and gratefully accept the water thrust at us by Danielle’s mum (a Sowerby Snails runner herself). Mandy and Camilla were in a while later, both looking suitably sweaty. 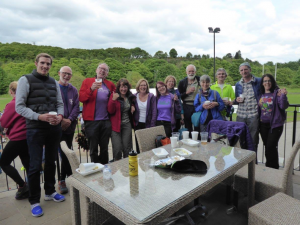 For us, the war was over, and there was little to be done but head back to the rugby club for the finish, as we’d not be able to get to the leg 5 finish/leg 6 start in time to see off David G, Mike Hughes, Keith Wesson and Angela G at Shelf village. So we did, admittedly somewhat disappointed, albeit (in my case) hugely impressed with the guts shown by Fiona in putting herself through a painful second leg with nothing in the tank. The rugby club had showers, tea and food, as well as the all-important sunny, dry field to watch the finishers. My vest now has a pink streak on the left-hand white stripe, where I had inadequately-vaselined myself; it started to move, so I generally didn’t. 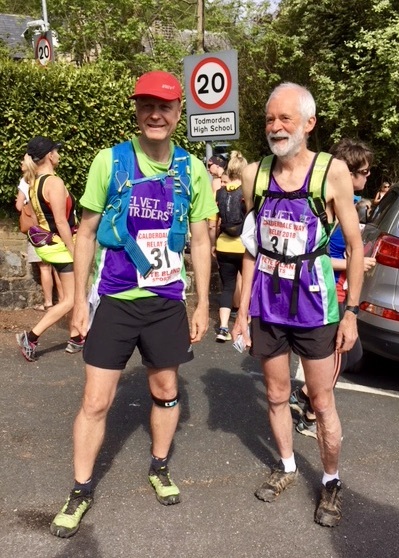 David and Mike came in, both looking slightly worse for a day that was now officially super-toasty (again, official term), their 1.58 seeing us 45th team of 100 (in 8.24hrs), then Angela and Keith finished off for us, their 2.21 giving us a time of 11.52hrs for Elvet B, 98th of the 100 teams. 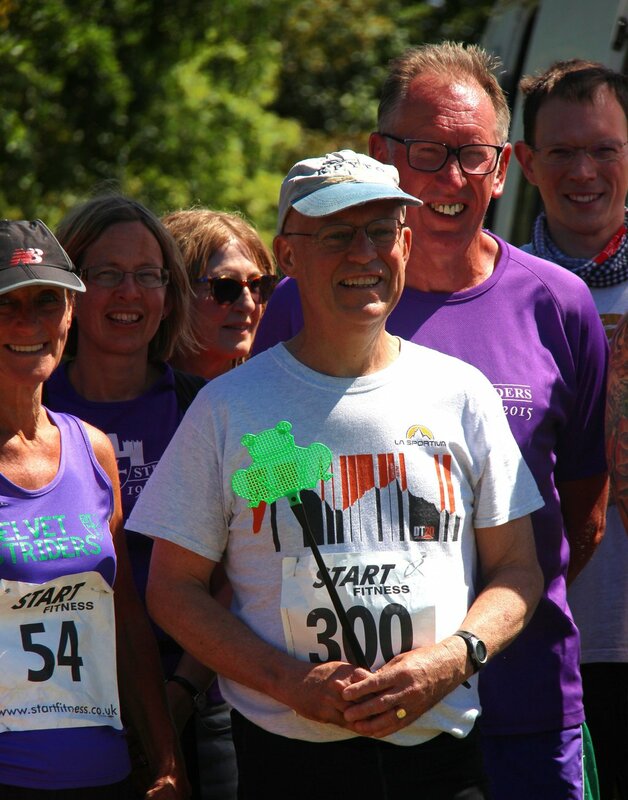 I’ll leave it there, but for to say that this was a hot, hard day for running, and everything I asked of the runners doing two legs was given in spades. Rarely have I been so pleased to see harrowed, hollow-eyed faces. 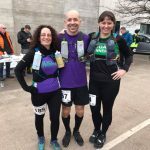 Particular mentions to both Danielle and Fiona, both of whom were out of their comfort zones, both of them also fairly new club members – to take this on was no small undertaking. Thanks also to those who came down to run one leg each, particularly given the effort apparent for all. Next year? 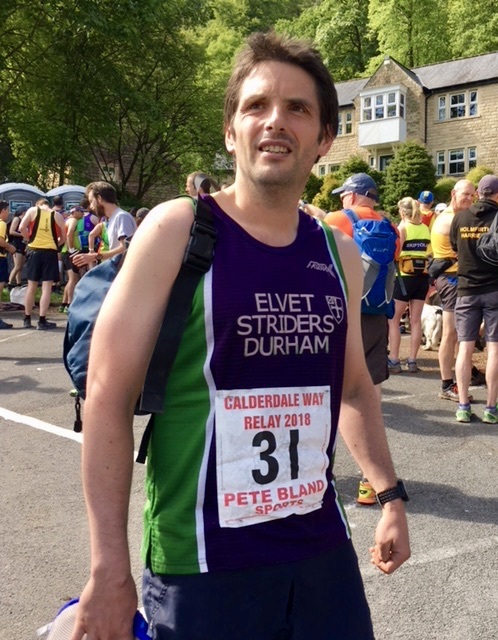 Well, the dream of being able to submit Elvet A, B and C lives on, and it remains an aspiration to run Elvet A as a one-leg-per-runner team, as I maintain we could be fairly competitive on this basis. Ladies and gents, I have a dream. Or three. 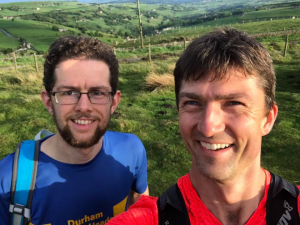 In honesty it shouldn’t have surprised me that what had started over a year before and eventually developed into a determined pact between two men to come back and conquer a fell race ended in a roar of noise. That noise for the most part was Mark “encouraging” me (not so gently) up the hill towards the final lane and the finish not far beyond. Besides the noise what I remember is mostly made up of fragments of images and a feeling of overwhelming tiredness as I pushed my body to its limit. I felt I had long since passed what should have been my limit but a year’s work is not something to be thrown away easily and the end was all but in sight. So I ignored the fatigue, the pain and the cowardly voice in my head calling for an end to the first two and pumped my legs. This feat of probable stupidity had started a year before when Mark and I, without any idea of where we were going, ran the 5th leg of the Calderdale Way Relays from Wainstalls to Shelf and by divine luck and following people who looked like they knew what they were doing made a good fist of it all; coming in a just a minute over the hour cut off for that leg. We probably could have left it at that and walked away heads held high but I think we are both more than a bit stubborn and we made a pact to try it the next year but this time having recced the course. 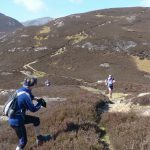 It took us until the Tuesday before to get out and figure out where we would be going on the race day and there was quite a comparison between our amicable lope over the hills to Wainstalls and then back again to Shelf and the actual race day. It took over three hours and involved a fair amount of time lost, especially at the start. In the end what should have been 15 miles ended up nearer to 17.5 and the light was almost gone but the fire in our stomachs burned all the brighter. Nothing Mark and I do can never be easy and we both did our best to ruin the start of the race with Mark turning up in the nick of time 15 minutes after registration should have ended and my bambi on ice moments in the first mile. The mass start of the race was hectic with not so much warning of the start as a shout from the marshals that the race had started. We all hurriedly dashed off with Mark and me falling into place as the third pair (we would finish 2nd from the mass start by the end). The crush of people meant I wasn’t getting much time to see my foot placements and after five or so minutes I did what I had feared and rocked a bit over on my left ankle. 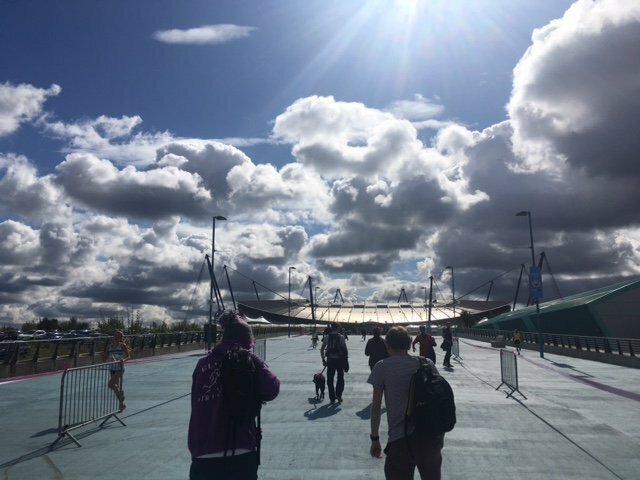 The day before, however, in a rare moment of insight I had bought an ankle support which probably saved our race and after a few limping strides I managed to get running again. At this point we were on the first of the three most trying climbs of the route up a grassy and mucky slope through farm fields to the farm buildings themselves. Here we pushed, keeping up with those around. Until we happily crested the hill and started down a long grassy descent a long what might be an old mining track to the outskirts of a small village. I felt Mark pushing and it was all I could do to keep up with him. Generally either one of us could be ahead on the uphill, the downhills were my ground but on the flat I felt like a sailor without a boat…desperately trying to keep afloat. It continued like this for a good while with a few scrambles through fields and the odd chance to throw ourselves through small gaps in the walls until we reached the longest climb. It started with a steep road section which I happily ran. In the recce we had agreed that both of us could walk and run the loose track afterwards (still steep as anything) but Mark was obviously feeling in fine fettle (see the next photo) and dragged me up at a slow jog with him, passing a few groups with batons on the way. At the top we met two ladies one of which appeared to be very tired and her partner (obviously the fitter) was pressing ahead. We had a brief section of flat…Mark sped up, but I knew after that there was a tight squeeze through a gate and a downhill section. The fitter of the two women was battling to stay ahead of me, however, and I had to call most of my strength just to dive through entrance before her even though her partner was a fair distance behind. The downhill was a relief and for a while I could be the one pushing but what goes downhill in fell running quite often has to go back up and after crossing a small stream we had a short steep climb into a quaint hamlet before a very steep and grassy climb. I had to warn Mark as he tried to miss the turning towards this horrific slope. By this time it was just us and Team 7 (Baildon Runners). We had been nearby each other all the way through the race and now as the end was in sight we both took chances to try and break away from each other. First came their attempt after the grassy slope on the still uphill but not as steep lane and then one of Mark’s shortly after. I pushed and pushed determined not to be holding him back. After a few fields and lanes we came out onto a road just above Shelf and Mark roared into action sailing down the hill and I went with him. It does look like it was drinks and smiles all around at the rugby club in Halifax but I had already headed off for a few days in the Lakes. As will be probably know by now I’m a lover of relay events so after spectating at this event over the last 3 years I decided to try and organise some teams to represent our club. 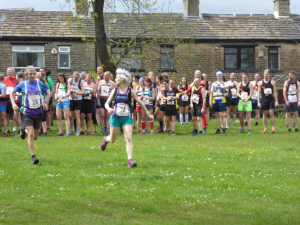 The event is based in Hetton Lyons park near Houghton Le Spring and is all on Tarmac paths (my favourite), so after a lot of reorganising teams due to several members being hit by flu and colds we had two male and two female teams ready to go. Our two female teams of four runners were first to go , Elaine and Steph first away and they did not let us down Elaine covering the undulating 2.2 mile (2 lap course) in a speedy 14min 17s which was the fastest time of the day, special mention goes to Katy who was not far behind and looks like to be returning to top form as well. 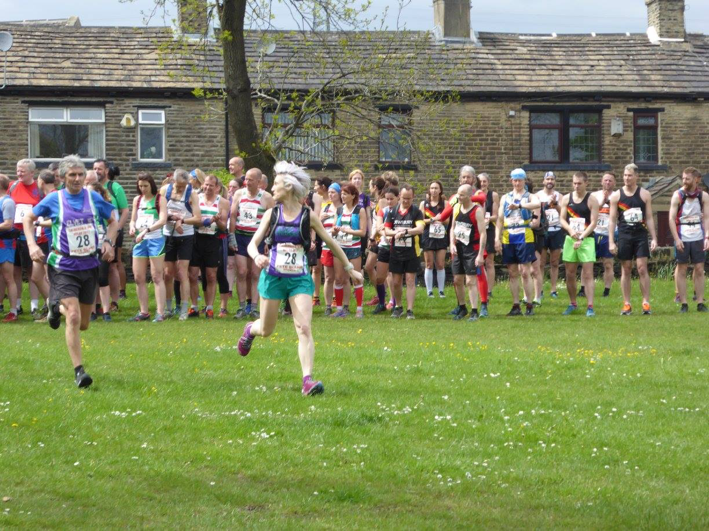 I had arranged the teams in a rough order of speed rather than the strict age categories so the birthday girl Sally Riding ran with out Vet 35 team, I just think it’s better running with people of similar pace and also it would much more difficult to get full teams out with just 18 runners. Another special mention goes to our wonderful support crew (Alister , Jacquie, Jill, Anna) and the cake which was wonderful. 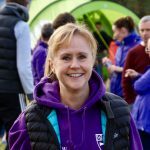 From myself I want to thank everyone for their efforts today, a fantastic tail runner experience at Durham parkrun this followed by running with our wonderful club was just what I needed. Next year anyone ? Two things hit me when I turned up for this event, first was how similar it looked to a harrier league event. Over 100 northern running clubs with tents set up on the grass and flying their flags with pride for all to see. Second was what a shame only 4 lone striders were here to experience it as really exceeded all my expectations. 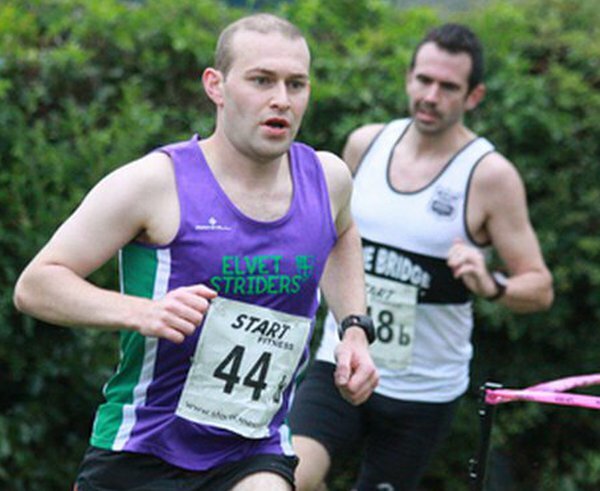 First leg was Rob Everson posting a respectable time for a fast lad of 22:48 and leading the team well. Considering the first leg was won in 18:07, you can see the competition was extremely high. Rob is still fighting off a ongoing cold that’s derailed his training massively, so this was a great effort and showed true dedication which bodes well for what is going to be an impressive HL season for rob I’m sure. Second leg was me 😄 posting a 21:40 which I’m happy with, raced a young lad round the 6k and out kicked him in the end 😄 very enjoyable. Tainted a bit when ex strider Adam pointed out the bloke runs a easy sub 17min parkrun and just coming back from injury. But great banter on the way round and all smiles at the end. Really made my race. Third leg was Simon Gardner posting 23:38 and gaining another 2 places for the strider team on another impressive leg. Showing great form of late and knocking out PB’s for fun. Really gave 100% and posted a last mile split which would have seen him pulling away from me. Great stuff. Forth and unfortunately our last leg was Matthew crow posting another quick time 23:48 and keeping our team in a respectable overall position. Mathew is another up and coming strider who seems to be getting quicker all the time. Fantastic commitment shown on his leg, that sub 40min 10k will fall in no time I’m sure. Well done. If we had a full team We would have finished about 70 to 75th in a massively talented field of over 110 teams. A great effort and we can all hold our heads up as a club. I’m sure many local clubs will have taken note of our efforts and was nice seeing others doing well too. I will Finnish this off with an early call for both Male and Female striders to keep an eye out for this event next year. The club will hopefully help promote this early when we get the dates through. This really is an event suitable for most striders and would be fantastic to get a few teams together next year and show everyone what a talented and friendly club we striders are. After the success of last year’s relay I once again volunteered to organise the teams for the event which is put on by Durham City Harriers. 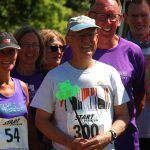 Last year we had 24 runners (8 teams) but this year the demand was even bigger and we had an excellent turnout of 33 runners which made up 11 teams. We only had one team in the senior category and that was also our fastest team consisting of Gareth Pritchard, Rob Everson and Stephen Jackson and they did not let us down finishing in 11th place which is fantastic considering the really high standard of the senior runners running on the night. 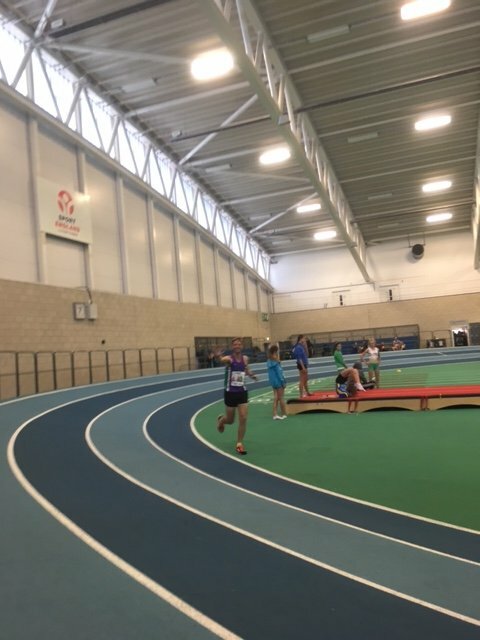 Rob was also the fastest strider of the night coming home in 10:37 for 2 mile which is very impressive and shows the fantastic progress he has made over the last year. While no-one let us down the weather most certainly did. It started to pour down around 6:30 and didn’t let up for a good 30 minutes, so by the time the Vets race started we had 30 wet ,cold but determined striders ready to go. The rain thankfully had stopped by the time all our first leg runners assembled on the start line in the Vet race. Just picking out a few striders for special mention, Matthew Crow continues to improve massively and managed an excellent 11:38 for the 2 mile circuit and looks in great shape for coming XC season, thanks also to Penny Browell and Clare Galloway for stepping in late in the day and giving it their all. Finally many thanks to everyone came down to run and support. Steelworks Relay, can’t be as good as Snods Edge can it? Great night for a run though, so give it a go. Golden skies and fantastic panoramas. Can Consett have a beautiful side? Whats the route, which team, number, leg, teammates and handover process? Which direction, how many laps, how many hills, where’s the start? All interrupted by Race Coordinator instructions. Lung-busting, sweat-breaking, gulping and groaning two-stage hill, some walk, none stop, completely. Back across the plain, leg-trembling lactic staggering disguised as final sprints. The purple army returns to HQ to reap rewards. But which band sang “Californication”?